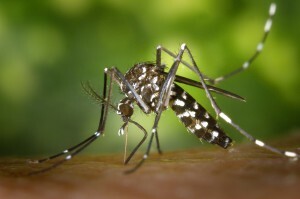 Buzzword Blog How Do I Find and Get Rid of Aedes Mosquitoes? Looks like you have Aedes mosquitoes in your neighborhood. Don’t panic. Let’s fight them together. 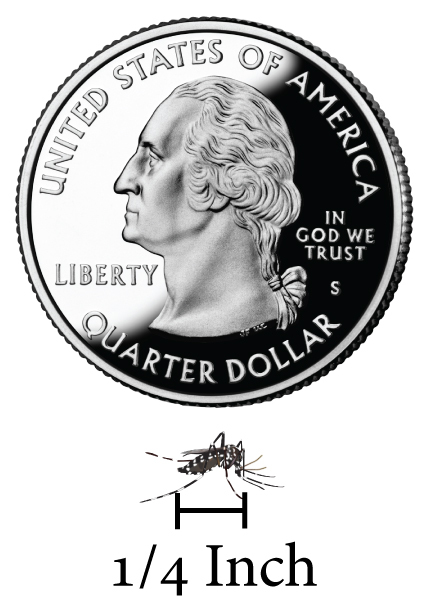 Aedes mosquitoes are invasive, which means they do not belong in Southern California. These invasive mosquitoes are known to transmit Zika, chikungunya and other debilitating viruses. Controlling Aedes mosquitoes in cities is difficult, but not impossible. We all have a role in this fight. Here is your guide to take back your home from these invasive, daytime-biting, Zika-transmitting insects. This is an Aedes mosquito. Note the black-and-white stripes. And they’re as small as the head of a pencil eraser. They bite aggressively during the day. This means they can affect your outdoor parties, lounging on your patio and even just walking outside. They lay eggs on almost any container that can hold water. This includes a bottle cap, a rain barrel, a bucket of water, and swimming pools. This is the hardest step for most people. Getting up to remove standing water from around the home isn’t as fun as playing games on your mobile devices or binge watching that new trendy show. But the reward is much greater. You are helping to stop an infestation of a dangerous insect, while making sure your summer days remain bite-free. 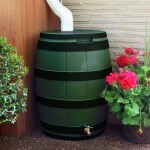 Do you own a rain barrel? Mosquitoes infests rain barrels since they hardly get drained completely. A small amount of water on the bottom can be enough to raise hundreds of mosquitoes. 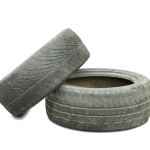 Old discarded tires are popular with mosquitoes. Get rid of them or keep them covered so no water can enter. Look for anything that can hold standing water. This even includes plant saucers and buckets. 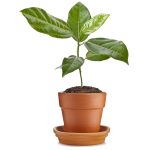 Get rid of unused containers and plant saucers. If you need to keep these objects, dump out the water and scrub down the surface of the container. 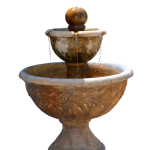 Ornamental fountains that don’t have running water is a source for mosquitoes. Either fill it with California native plants or request free mosquitofish from us. Don’t forget insect repellent — We remember it when we go hiking, but mosquitoes, especially the Aedes mosquitoes, can be lurking in your own yard. For recommendations, click HERE. Let’s say you did everything you possibly could to get rid of mosquito water sources and are still experiencing mosquitoes. What do you do then? 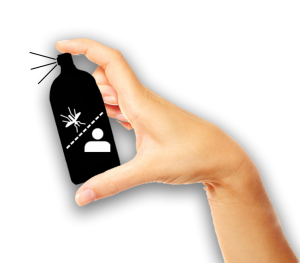 Contact Us — Our agency can provide inspections and, if necessary, treatments at no extra charge to people who live and work in our communities in LA County). 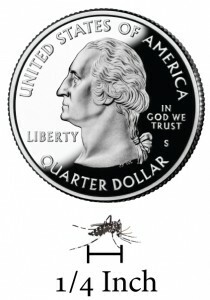 You can call us at 562-944-9656 or at www.ReportMosquitoes.org.